On December 12th 2015, a small conference on the topic of Functional Programming in Swift will happen in Brooklyn (just like in 2014). We will have a day filled with with awesome talks and lots of great conversation. Kickstarter has kindly offered to host us, and provide snacks, lunch, and drinks. 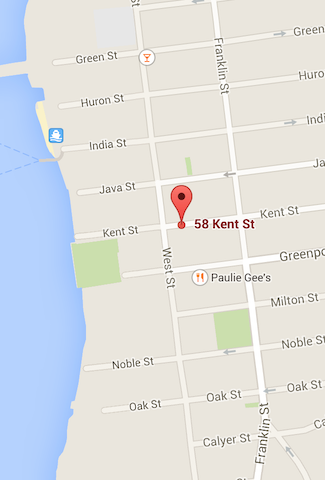 Their offices are located at 58 Kent St, Greenpoint, close the G train and Greenpoint Ferry Terminal. Join us at 10am for breakfast snacks and conversations with other functional programming enthusiasts. The first talk will begin at 11am, there will be five 30 minute talks and two 15 minute lightning talks. Lunch will be served around 1pm, and the entire conference should be over around 6pm. Tickets are already sold out. However, you can register for the waiting list here. If you already have a ticket, but cannot make it, please be so kind to cancel your ticket so we can free your spot to people on the waiting list. 2014 Edition: See the old website for a short recap (and videos) of last year's edition.